It was a great privilege to present Crowd2Map at the first State of the Map Africa held in Kampala last weekend. Over 150 people came from 21 countries and I've never been to part of a conference that had such a strong sense of community. There can't be many places where people from such diverse backgrounds as Apple, the World Bank and Mapbox get to collaborate, dance and even play football with activists from Mali, Niger and Kenya, and community mappers from around the world. The Map Uganda team did a great job of organising the conference, even down to the amazing t-shirts, although they were no match for the 'Rest of the World' football team that closed the conference. My personal highlights were participating in the Women Mappers panel with these amazing women, meeting the other African Humanitarian OpenStreetMap Team Microgrant winners and learning about their projects, and even getting started with QGIS, Overpass Turbo and UMap thanks to the very many people who were extremely patient with a beginner like me. And I was extremely impressed with the many Youthmappers from many countries, and hope they will support the chapter we have just set up at the Institute of Rural Development Planning in Tanzania. 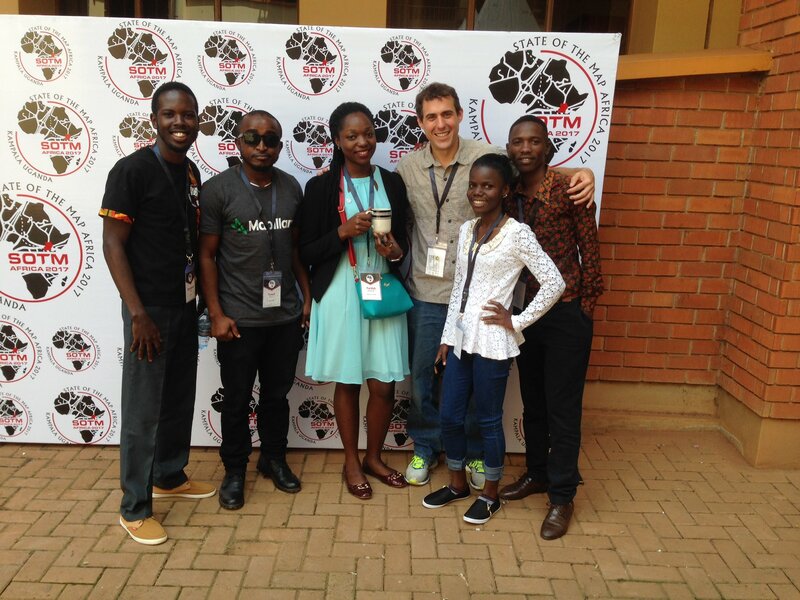 I look forward to the next SOTM Africa!